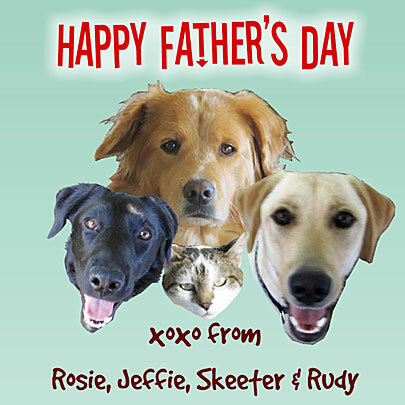 Talking Dogs at For Love of a Dog: Happy Dog Daddy Day! Or in any place we wish. You taught us how to sit. so we can take a sh... Stroll. HAPPY DOG (& Cat) DADDY's DAY! Awww this is totally awesome! I've got to share this around! Sweet thoughts for our best friend on his special day. Love that poem! Happy father's day to your daddy! Cute poem! Happy Dad's Day! Hehe love the poem! It's perfect! Happy Dog Daddy Day! What a perfect poem! Happy Dog Daddy Day! Love it, made me laugh out loud. Happy belated father's day to the dog daddy! !